While my assumption is that it will take very little convincing to get any of our readers to scroll through a gallery of purses—let alone, affordable ones—I’ll take a stab at it anyway. Whether you’re looking to add a new statement bag to your collection, need a good everyday tote, or a beach (and thus a beach bag) is in your horizon, I’ve rounded up the 45 best bags under $100 that the internet has to offer. From no-brainer affordable brands like Mango and Zara to under-the-radar favorites you’ll have to keep scrolling to discover, I’m fairly certain there’s something for everyone’s taste and definitely everyone’s budget. Simply continue on to shop my picks from the highest to lowest price below! Every travel enthusiast needs this. The rope allows for easy carrying. Show off whatever you want with this bag. Pack this for your next vacation. For when you have to bring your laptop to work too. The woven detail on this tote makes it a must. These pearls are so pretty. 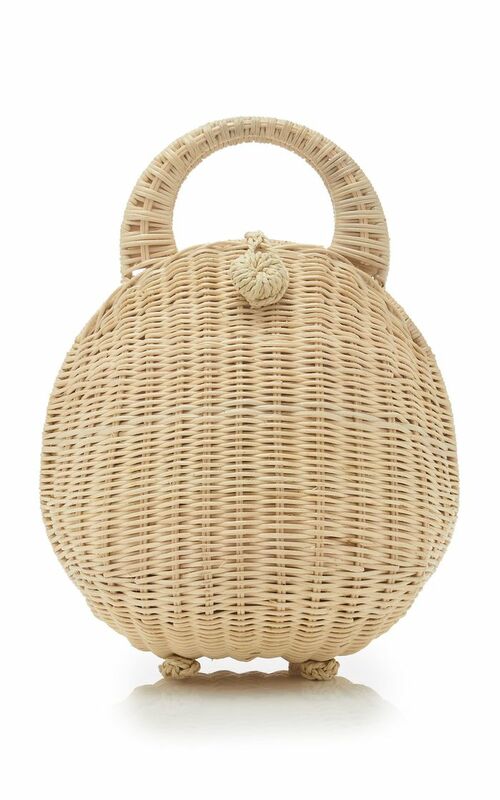 Add a French touch to your OOTD with this straw mini bag. This animal-print trend is here to stay. This shade of purple is so satisfying. Polka dots and pearls? Say no more. Wear this to your next black-tie event. Your day-to-night basket bag option. For your flee market or craft fair stroll. Add some zest to your outfit with this fun tote. Bucket bags are a closet staple. Your perfect summer crossbody bag. How could you not jump on the vinyl bag train after seeing this? A great match for any flowy dress. Dress this beaded bag up or down. Channel your inner cheetah girl while wearing this printed pick. Your non-vintage but vintage-looking piece. We love a bamboo handle. Pair this with your favorite jeans and tee for a fun twist. Wear this as crossbody or top-handle bag. An on-trend bag that won’t break the bank. Who doesn’t love a good cherry print? Red or black? You pick—we were torn. Water resistance for the win. There’s nothing like the ease of a belt bag. Complete with a handy zip pouch. Everyone needs a classic shoulder bag. A beach or party essential. Always love a versatile pick. The pop of color you never knew your outfit needed. Stuff all your essentials into this perfect tote. Up next? All the best new arrivals of the week.